MirchiGames Hungry Fish Escape info about the game-Games2Rule. 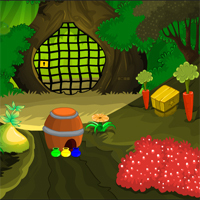 In this game, you are in the situation to escape from the garden after feeding hungry fish in the pond. You will get key with the help of fish. Find the clues to solve the interactive puzzles. Click on the objects to interact and solve those puzzles to escape. Good luck and have fun!